The artists we are looking for share a strong identity and drive towards innovation in their productions. They music genre we are interested in are: Singer/Songwriter, R&B, Rap, Power Pop, Post Dubstep, Pop, Electropop, Antifolk, Alternative Rock, Worldbeat, Nu Jazz, New Wave, Ethnojazz, Avantgarde, Worldmusic, Urban, Trap, Techno, Noisepop, Kraut Rock, Indietronica, Indie/Alternative, Indie, Hip Hop, Experimental Pop, Experimental, ETHNIC, Electronic Music, Electronica, Electro, Dubstep, Dub, Dancehall, Beats, Bass Music, Avantgarde Pop, Artrock, Art-Pop, Alternative Pop, Afrobeat. During the daytime, Music Meetings will involve professionals and aspiring professionals from the international music industry. 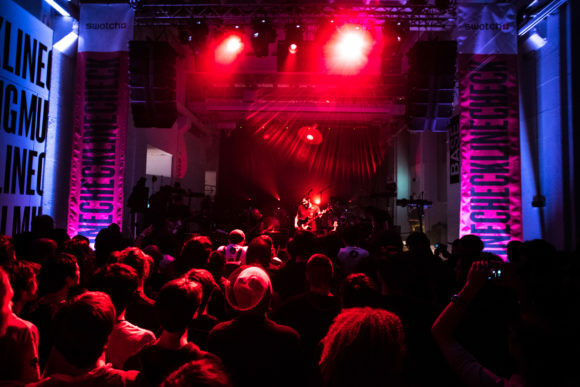 In the evening, the Music Festival will provide, a unique opportunity in Italy, to discover new artists and productions. You are welcome to participate, prove your great talent and promote yourself! Through this ad, we will select 3 or more artists to whom we will offer a small fee, backline, accommodation and full access to all venues of the Festival. Thank you for your interest in taking part to Linecheck, we look forward to welcome you in Milano.